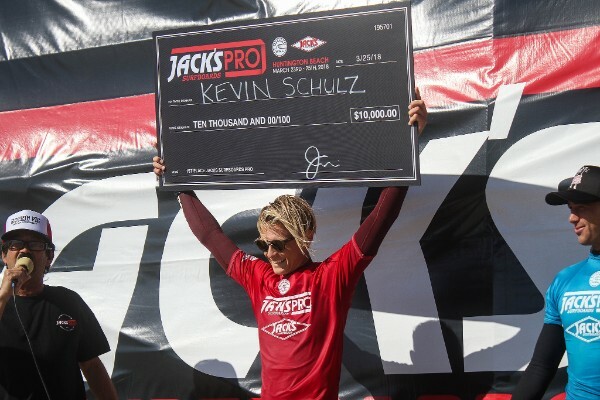 HUNTINGTON BEACH, California/USA (Friday, March 23, 2018) – A marathon finals day of competition witnessed Kevin Schulz (USA) claim his maiden Qualifying Series (QS) victory at the World Surf League (WSL) Jack’s Surfboards Pro QS 1,500 in phenomenal fashion. It was a race to the finish as both Schulz and eventual runner-up Ian Crane (USA) paddled out on five different occasions before day’s end to earn the top two spots. This entry was posted in Adventure, Featured, Global News, Surf, Video, Water by admin. Bookmark the permalink.